Restaurant Trokay brings fine dining to the small, ski town of Truckee, 10 miles north of Lake Tahoe. Pedigreed NY culinary talent offer tasting menus as strong as you'd find in any big city. I've been going to Lake Tahoe since I was a small child, when I used to be content eating peanut butter and jelly sandwiches. Oh have times have changed, and so has the tiny town of Truckee, just a few miles north of Lake Tahoe. Traditionally, my family's first stop coming into Lake Tahoe from Los Angeles, was the relaxed bar slash restaurant, OB's (read: restaurant with wood paneling and well-worn carpet). OB's was a Truckee institution for over 30 years, but then there was the rent creep and evolution of a town which lead to OBs demise. In its place, came a fine dining experience with the opening of Restaurant Trokay. Trokay has been in business for five years now and has some seasoned backers. The owners are a New York couple who have spent time in big name restaurants. John Weatherson was the Chef de Partie for three-star Michelin stand-out, Restaurant Daniel. His wife Nyna was the head cheesemonger at the exceptional Murray's Cheese in NYC. They are quite the power couple, and they're now in Truckee, CA. 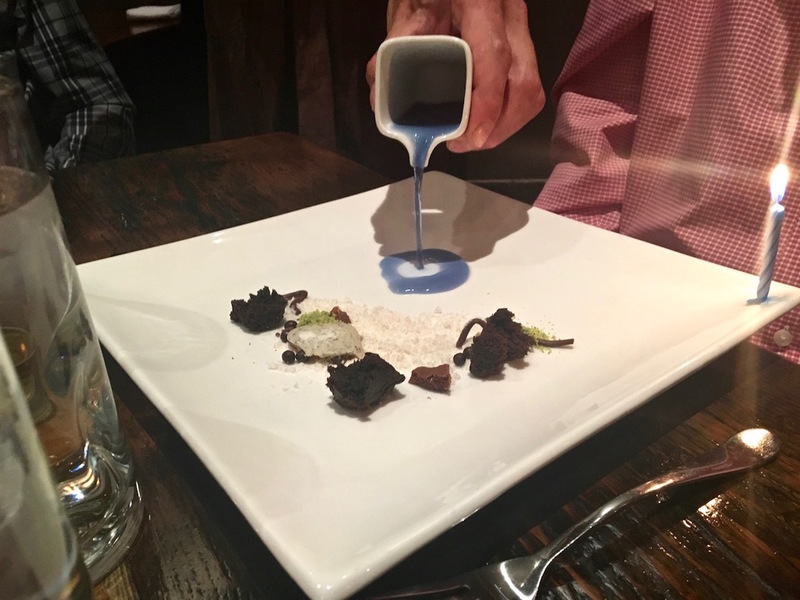 I'm not sure what took me and my family so long to try out Restaurant Trokay, but we finally got there, and decided we needed to jump in with both feet and try their Chef's Tasting Menu ($145). The Chef's menu includes over 10 carefully crafted dishes, but there's also the option for a four-course prix fixe at $85. You can get wine and beer pairings for another $100. It was a little steep for a beer pairing, but my dad and brother arranged for a few of their own beer flights to sample the many selections on tap. There's also an opportunity to order items a la carte with starters in the $12 - 27 range and entrees $36 - 54. Trokay is definitely a special occasion restaurant. The prices are typical of fine dining in a big city, but Truckee is not a big city. Truckee is a one block strip of restaurants, bars, pizza places and an old time ice cream parlor, so I wondered if Trokay could deliver and sustain in this environment. My delivery question was quickly answered with the arrival of our amuse bouche, on a branch. Of course it was a local tree branch from the nearby forest that had been charred and placed directly on our table with delicately balanced quinoa seed crackers and avocado dollops. I could have finished off a whole forest of those creamy, salty and crunchy chips. The NY fine dining attention to detail continued through the whole meal with the delivery of unique plates, tins and special holders, often brought out for a single taste on a spoon. Dozens of well-prepared ingredients donned most dishes, which held clever names that often paid hommage to Lake Tahoe. Snow and Ice may have depicted what winters are like in Truckee, but the plate had foie gras, elderflower, rhubarb and unripe strawberries that balanced the richness of the foie. While winter is not my favorite season in Tahoe, I found so many amazing bites in this winter ode, that I could be a convert. 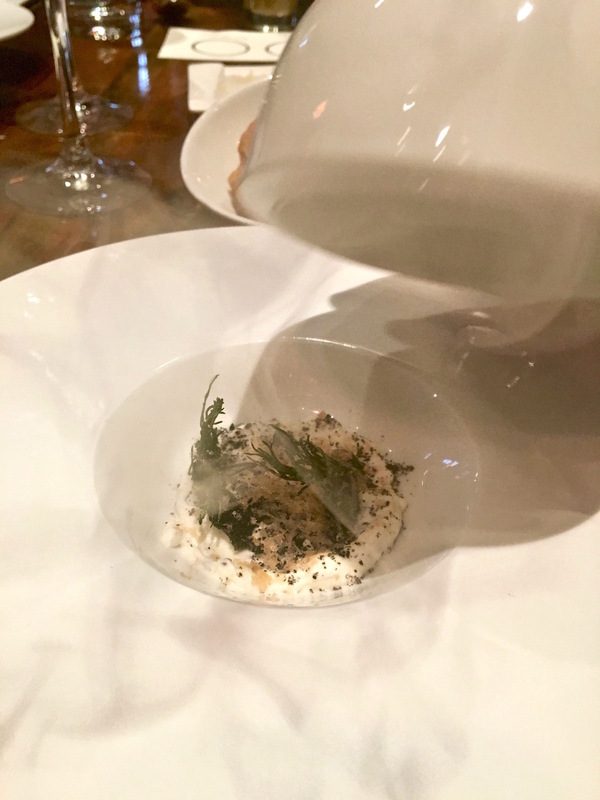 The presentation of Fire and Smoke, also called Clay Cinders, came with a covered dish that when lifted, revealed a puff of smoke that infused the trout below. Unfortunately there were fires burning not too far from Tahoe during this meal, so it rang pretty true. We were happy to only eat the interpretation of this robust and whimsical dish. For one course, the chef himself came out with a stone slab (local of course) to present a shrimp dish. His inspiration for the recipe came from hearing people say that rocks can get so hot that you can cook on it. He decided to heat a long, smooth piece of granite and cook Kauai white shrimp on it. 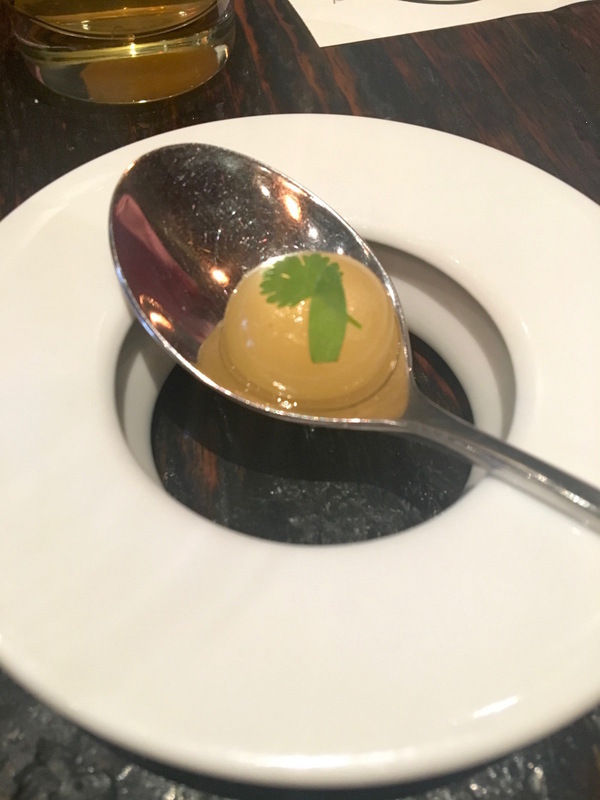 It was done within minutes and then placed on a version of chawanmushi, a Japanese egg custard dish. 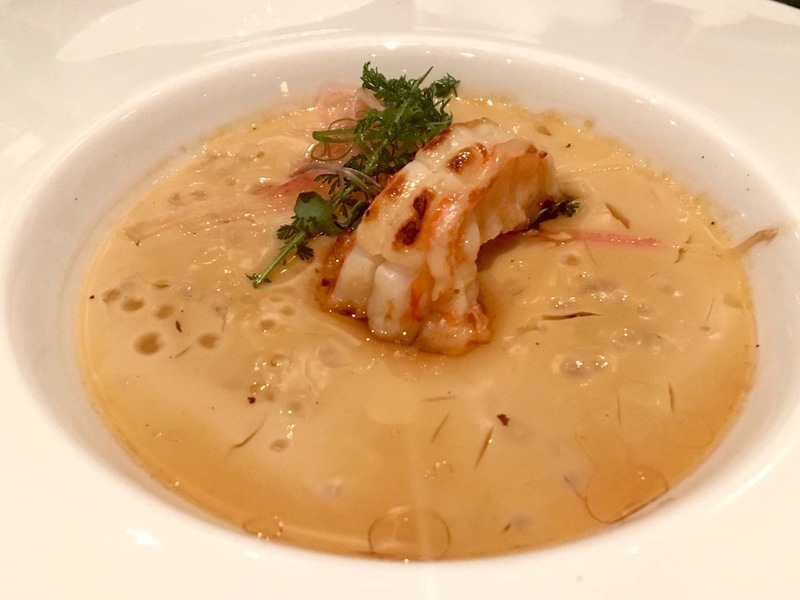 It has unique umami, savory notes and is so dense that the chef was able to place the shrimp right on top without it falling. Delightful, decadent and delicious. 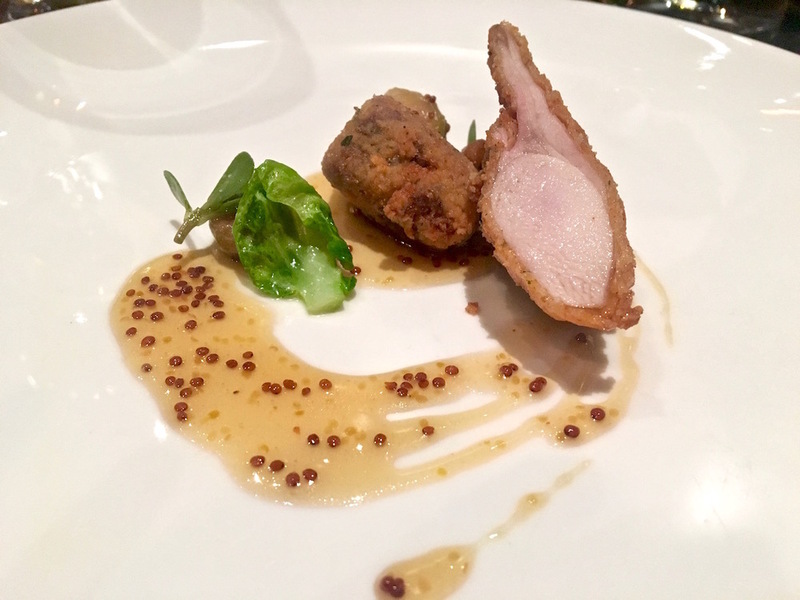 Meat courses included a delicately Southern fried rabbit and a plum pinot noir belly of berkshire pork. The details and flavors were subtle but poignant. A perfectly cooked rossini de boeuf arrived with a seared slab of foie gras, sitting on a bed of smoke potato and porcini. Divine. A multitude of desserts followed like a corn inspired sweet, done several ways, including crispy corn husks. A cool dish accompanied with crispy yuba, frog hollow apricot, almond and lemon verbena. 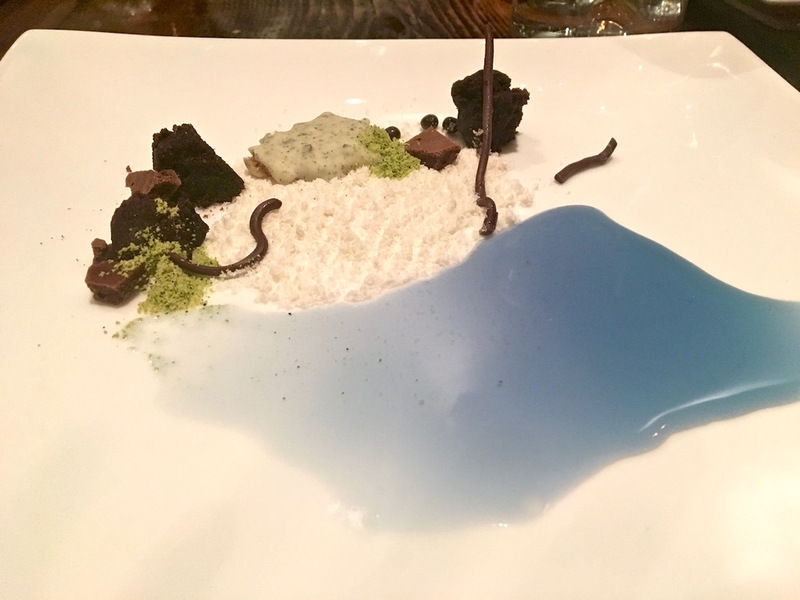 The biggest wow was the dessert dish where the server poured a blue liquid, representing Lake Tahoe, beside what looked like a sandy beach, but of course was a series of different sugar formations. It was Lake Tahoe on a plate - in edible form! 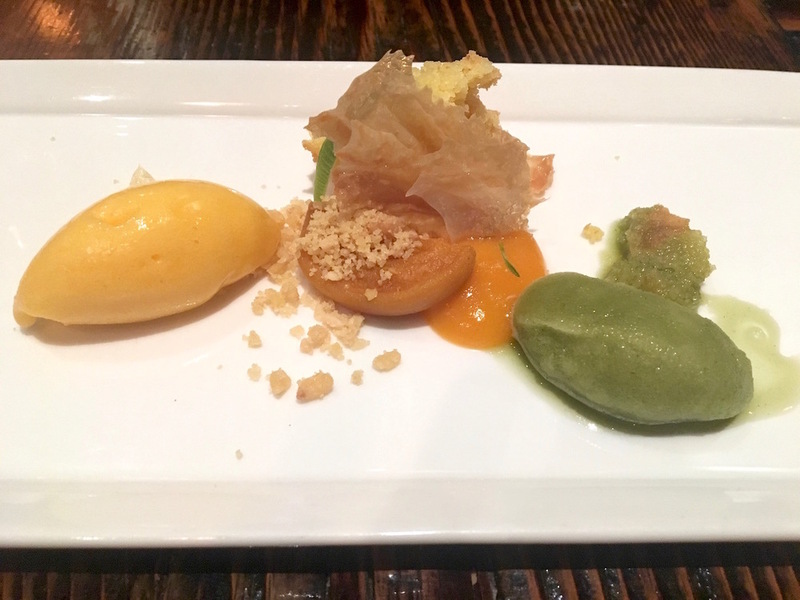 Trokay is a culinary gem, hidden in the small ski town of Truckee. The servers are friendly and knowledgeable. The sommelier had such enthusiasm describing all of the beautiful pairings that I just wanted to bottle him up and take him with us. I'm glad to see that Trokay has already made it five years. I'm hoping for many more as the dishes coming out of there are the best anywhere in the Lake Tahoe area, not to mention in many other cities across the country!